Not for me. The animation just looks low tier compared to TCW and Rebels - this looks like a cheap Saturday morning cartoon, and I don't need to see more of the mess surrounding the ST. The return of TCW has my attention. Looks laughably bad. Not sure why Disney continually puts out content that no one likes. It is not cheap animation, I think it is the same animation and models quality but rendered as cartoon style shadows instead of 3D. And the story can be good, Rebels also started looking as a Saturday cartoon for kids. There is less detail and fewer textures indicating its cheap-ness. That doesn’t make it bad though. It’s actually a creative way to have more expression on a smaller budget, not to mention increase the time before it looks dated. Wind Waker also used cel shading which paid off very well. In 20 years, Resistance will probably look much better than Rebels. I'm not a big fan of toon shading, but I remember not being a fan of the cartoon style of Rebels (very minimalist at first) - and that worked out okay. As long as the story is good I think it'll work and my brain will adjust. Bad story -- and it won't. I get what you say, they save a lot in textures instead of in model/animation. It reminds me an old Spiderman cartoon. -I wasn't a fan of Rebel's animation style, but it was tolerable. -does the timeslot of Sunday night before school at 10pm mean it's not meant for kids? -the first trailer for Rebels me understand the time period and the state of the galaxy is in. This didn't. -was it me? Or was there a little too much comedy? -I like the alien diversity. Clone Wars did that well too. Started mid-FEB 2017, and not trying to reach the top. 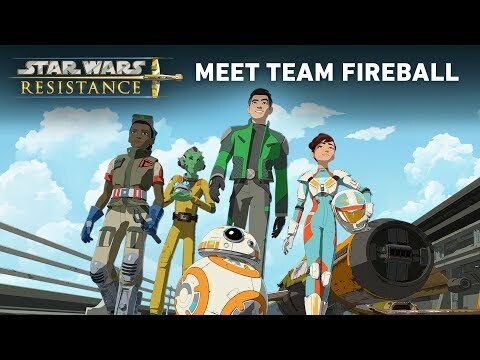 According to responses across social media - there is a lot of people who don't seem to care for this Resistance show. I bet it will get cancelled pretty quick. It will be a shame if it does though because that will send a wrong message to Disney. After the failure of Solo and huge backlash of TLJ, Disney need to feel re-assured that their $4B+ franchise will make them money. Its a shame that they feel the need to push this show - they should have not done it, yet, but pushed for the return of TCW show and regained the trust and respect from the fanbase before pushing new and questionable content. I believe the backlash was mostly due to it being the replacement series immediately after cancelling Clone Wars. I was angry at Disney for it myself. But it was Filoni, and he did make it enough of a Clone Wars sequel that it's mostly forgiven. I didn't get into the series as much until the watching the Season 1 finale. I don't see what direction or period this takes place in. Other than it's between Ep 6 and 7. I didn't go read spoilers or behind-the-scenes stuff. Other than the fact that the 2nd is just an extended version, it sets up so much without hyping the series. The who, what, where, when, protagonists, antagonists, teased, premise, and it didn't seem to focus on light hearted fun as there was danger for the protagonists. Yes, yes, 20/20 hindsight as well. 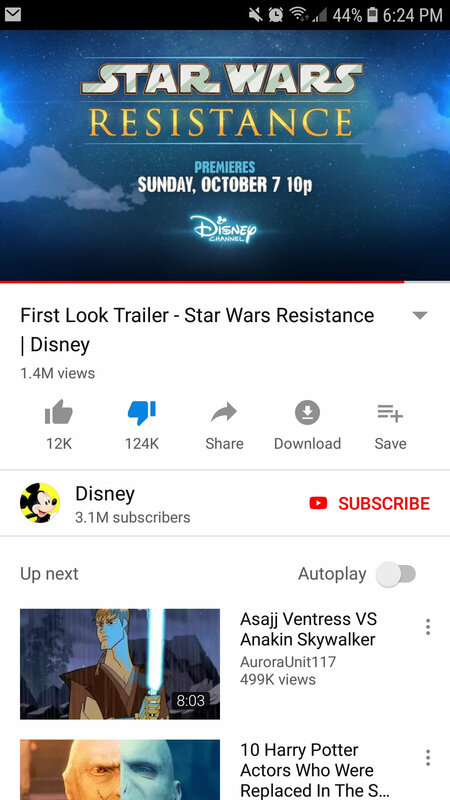 I don’t think Disney even cares about what the fans want anymore. I like Solo movie, actually I think it is very good for a spinoff. We can not expect to get all as good as Rogue I. The really bad one for me is The Last Jedi. Exactly - that is why they should focus on that instead of this right now. I am not getting into it again but a lot of the fans are mad about TLJ and generally dislike the new characters - Poe, Finn, Rey etc. What Disney needs to do is do amazing with E9, get people liking those characters and then push extra content for them. TLJ hurt the franchise in so many ways, I am not overly sure Disney knows a fool proof course of action to get the franchise operable again. But running this show that clearly no one is interested in, on a Disney exclusive channel at 10pm on a Sunday is just yet another dumb move on their part. Its not surprising its not being well received/anticipated. Disney are too invested in the ST era - they have to get people to like that era and its characters to drive merchandise sales etc and start really turning profits again. However they need to repair the fractured fanbase - which is why they are returning to the Clone Wars series. They need the franchise to heal and give us safe content that everyone enjoyed. They cannot afford to take risks right now. That is why pushing the resistance show now is a bad idea. They need to get the fanbase back together with safe content like the Clone Wars and give us an awesome E9 that hopefully redeems this ST.
Only then should they push for more ST content and then start giving us "new" stuff - but that "new" stuff will need to be very carefully crafted or we end up right back where we are now. Guys, it is a KIDS show, be patient. Just curious, is it mostly older generations that don’t like the new Star Wars content? I just feel like most of the people I talk to offline that don’t like the newer content were fans of the movies when the first came about. I’m young enough (29) that I wasn’t around when the OT came out. I honestly am not a fan of those movies. I liked the prequels better, but didn’t think they were anything special. The books are actually what I’ve enjoyed most about Star Wars and what really got me addicted. For the most part I love the new Disney content. Episode 7 was good, although that’s been my least favorite of the new stuff. Rogue One is one of my favorite movies ever. Episode 8 isn’t too far behind. The Solo movie was spectacular and I don’t understand the hate. Rebels was nearly as good as Clone Wars. I don’t like the animation style here but I’m definitely going to give it a chance. You are entitled to your opinion, but flat out saying you didn't like the OT (which birthed Star Wars) and saying you do not understand the hate of these new movies, while also stating these new movies are for the younger generation shows some ignorance to the franchise indeed. There are many reasons why TFA and TLJ are bad movies - they completely break the lore of the established galaxy, TFA was a reboot of ANH (so, its odd that you did not enjoy the OT) and destroying OT toons from which the entire franchise is based upon - to name but a few reasons. Having said that, if you are a newcomer to the franchise, I'd say they are enjoyable movies, no doubt there. But again, if you know the lore of the franchise and respect the stories - the ST movies are terrible. They are glitter just to reel in new/younger fans. But in comparison to Marvel - these new movies are very dull. However, I loved Rogue One, and I have heard Solo was enjoyable (I have not seen Solo). So I know Disney can do it. They need to do much better with E9 if they are to get back on track. If its star wars cannon - the fandom is very diverse in regard to age. So if Disney expect to release a new show to be on par with both TCW and Rebels - they need to do much better than this with Resistance. The fact that it is being aired at 10pm on a Sunday, shows they are not simply catering to kids only. Have you see the clips from Resistance behind the scene? Is not Clone Wars cartoon removed from the Star Wars universe since Disney? Why is it there? Wow, that’s a lot of dislikes!